Yogurt bubble tea syrup used to make Yogurt boba tea smoothies, Yogurt boba slushies, and Yogurt flavored green / black teas. 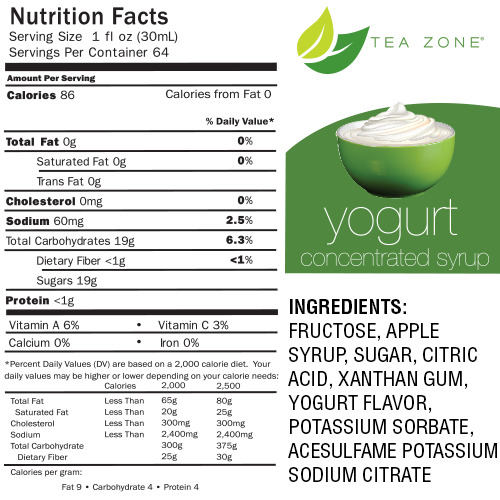 Yogurt drinks are not only extremely tasty but are also good for your body. 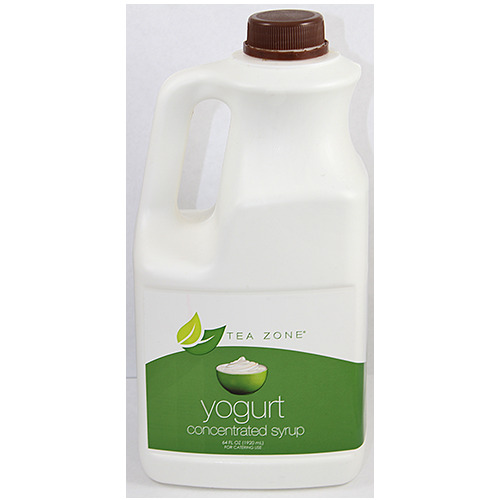 Get a dose of that healthy and yummy yogurt taste in every beverage you make at home with our Yogurt Syrup. Made with only premium quality ingredients, this tasty syrup is a great addition to all your cold beverages. For a cool fruity smoothie, blend this syrup with some ice, milk and frozen berries and top it off with some whipped cream. Like this item? Try our Logan Honey Bubble Tea Syrup!